Two-Sentence Summary When the Black Fairy challenges Emma on her wedding day and brings her back to a time when she felt alone, flashbacks reveal that her mother’s wish to help her find her happy ending gave her a song that she’s always carried with her, which helps her understand that she’s never truly been alone. After facing the Black Fairy, Emma is finally able to marry Killian—right before a new curse descends on Storybrooke. My Thoughts Greetings, fellow Oncers! I’m coming to you from my hotel room at Walt Disney World’s lovely Contemporary Resort, where I’m enjoying a much-needed dose of magic this week. Typically, I try to avoid writing of any sort on my vacations since I do so much writing when I’m home, but I couldn’t leave the NGN Family without a place to talk about this episode. And after hearing the news of Jennifer Morrison’s departure from Once Upon a Time this morning, I also knew I couldn’t leave you without a space to talk about what she has meant to you, what Emma Swan has meant to you, and what you think is going to happen to the show without her should it be picked up for a seventh season. I know that I am going to miss both Emma Swan as a character and Jennifer Morrison as an actor on my favorite television show more than I ever imagined before learning the news today. Writing about Emma’s journey completely changed me as a writer and as a woman, and meeting Morrison remains one of the highlights of my life as a fangirl. While I’m incredibly sad to lose this character (and am really hoping the show just ends instead of trying to go on without her), I’m so thankful for what Emma brought into my life—including most of you reading this. NGN became what it is today because of how much fun I’ve had writing about Emma’s journey and how much I’ve loved connecting with all of you about it. This past Monday was the deadline for letters for The Fan Mail Project, but it wasn’t the end of this project. 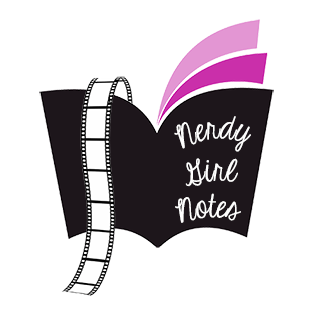 If you still have letters you’d like to send to female characters who’ve inspired you or impacted your life in some way, you send still send them to me at nerdygirlnotes@gmail.com. I’ll still accept them for at least another few weeks as I work on the next phase of the project, so if you see this post and are wondering if you can still submit a letter, it wouldn’t hurt to send me an email and ask—chances are I’ll say yes! Also, if at any point you decide you need to add something to or change something about your letter—maybe to reflect a change in that character’s story or your own story—please don’t hesitate to ask if you can. The editing process for books is quite long, so I’m certain there will be plenty of time for you to edit your own letters if you need to. The next part of this process is in my hands. I’ll be putting the letters in an order that I feel ties the project together in the most cohesive way and writing some connecting essays to further explain the importance of not just the characters these letters were written to but the importance of the fans that wrote them. I want this book to be a celebration of what I believe fandom is at its very best—an uplifting marriage of the deeply personal and the inherently communal that helps those looking for a place to belong feel less alone—and I’m working on additional material for this book that honors that belief. I promise to keep you all updated as I continue along in this process, and I ask for your patience as things continue to move along at an uncertain speed. I’m not sure how long it will take to turn your beautiful letters into a book you’ll actually be able to read and show off to the world, but I pledge to work as hard as I can to make it a reality and to keep you informed every step of the way. This summer will be spent shopping the manuscript around to potential publishers and agents, and it’s my most sincere hope that someone connects with and believes in this project the way so many of you have and takes a chance on publishing it. Monday was a special day. It was a day filled with overwhelming gratitude and a deep sense of purpose. To all who’ve participated in this project so far and to all who are still working to finish your letters, thank you—from the bottom of my heart. The way you embraced this project with not just enthusiasm but open hearts, powerful vulnerability, and total honesty touched my heart in a way even I—with the high expectations I have for everything—didn’t see coming. Your bravery and passion are every bit as inspiring as any of the traits in any of the women you wrote about. You are shining examples of the brilliant, beautiful, and wonderfully unique people that are brought together by fandom. And I will do everything in my power to honor your trust, your belief in this project, and your incredible words by making The Fan Mail Project a reflection not just of me but of all of you who shared so much of yourself with me through your letters. I knew when I started this project that I couldn’t do it alone—because the whole point of fandom is to connect with others and discover that we’re not alone. And while I’m about to start a part of this process that’s on my shoulders and only mine, it’s nice to know I’m still not alone.